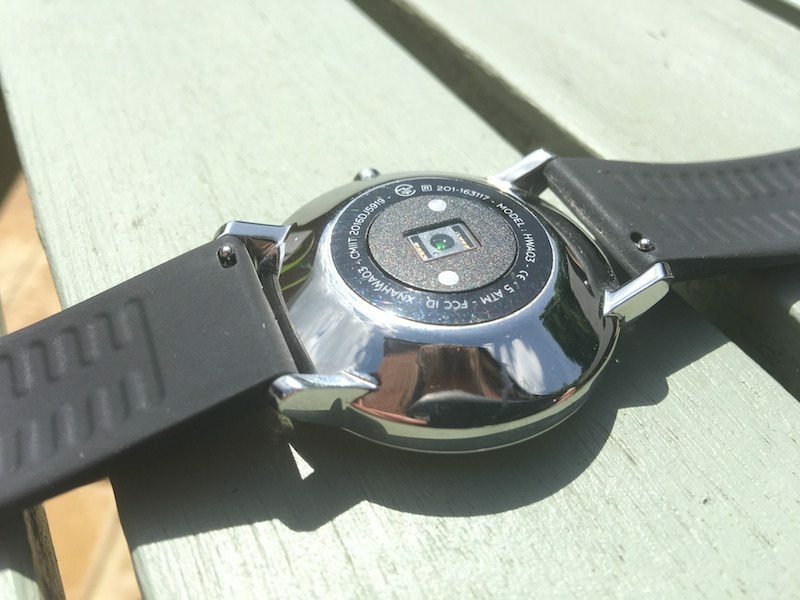 opStyle has always been important, but the days of the blocky sports watch are now long gone. Instead, we have sleek and style lifestyle devices, which monitor us, and give us the data to monitor, if not improve, our health. 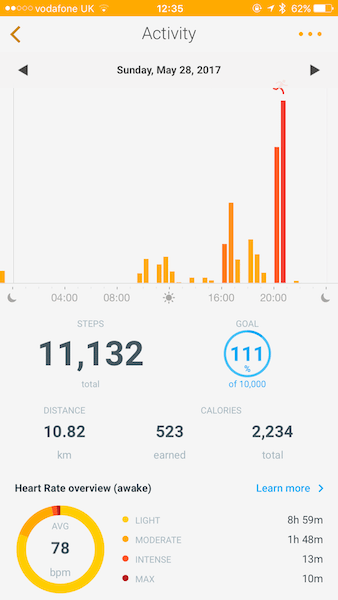 With Withings, Steel HR is a perfect example of this, and is probably the most attractive activity tracker on the market – in my eyes anyway! 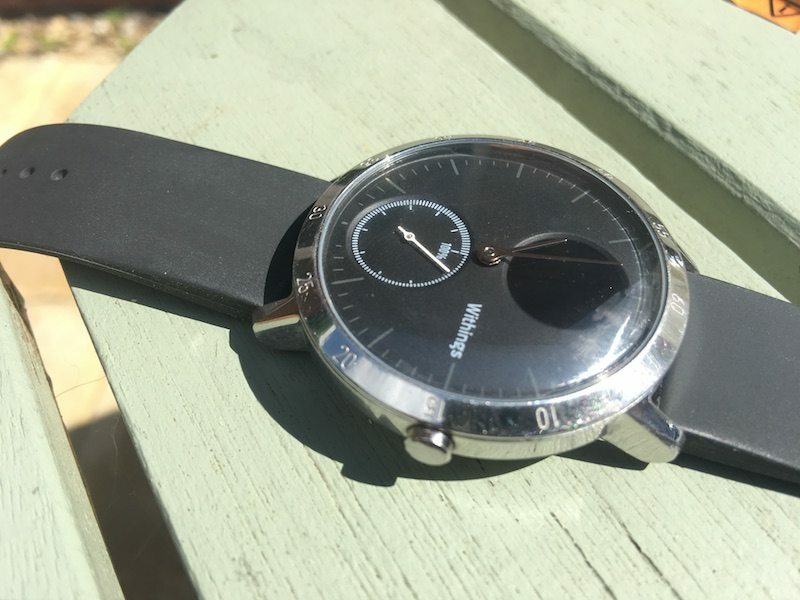 Let’s be clear, the Withings Steel HR is about as stylish as activity trackers come. Now watches, rather than activity trackers, are very much like glasses, highly personal items. Some people for whatever reason don’t LIKE to wear what looks like a digital watch or a neon green fitness tracker. 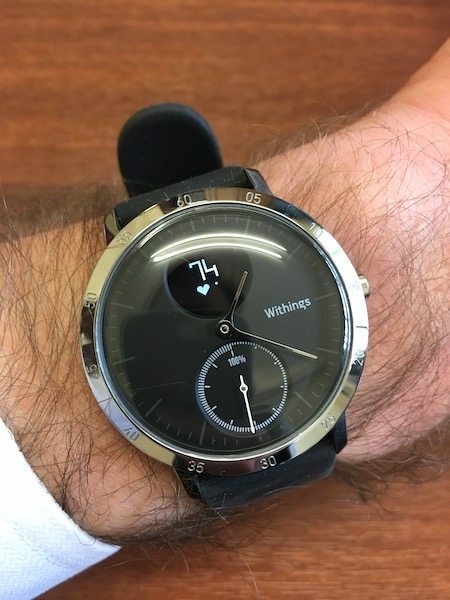 Personally, I really like the high-tech look of the Polar M600 or the FitBit Alta, but quite understandably there are people who also feel that this doesn’t blend with certain work clothes or a business suit for example. 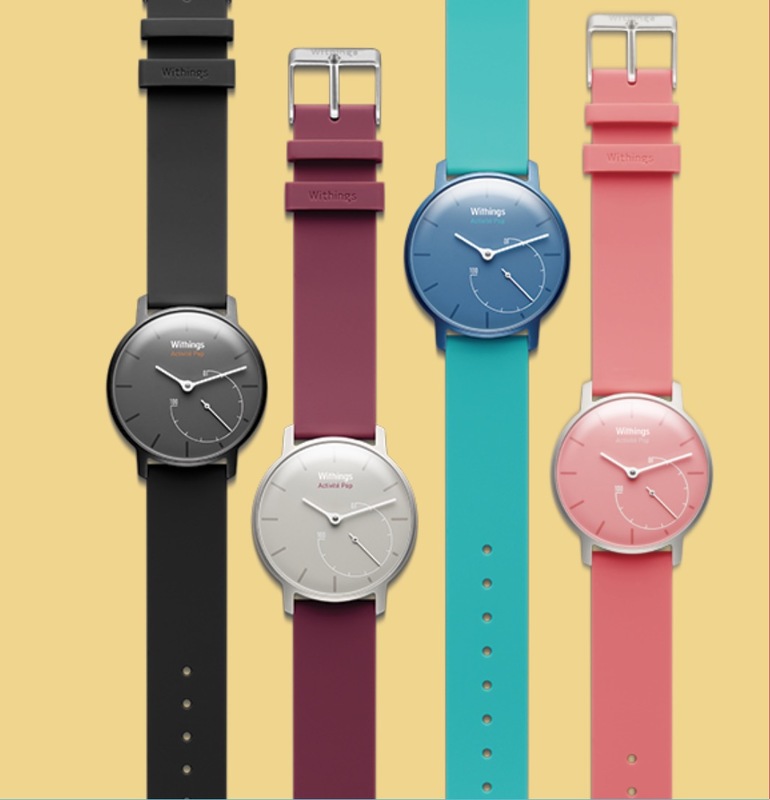 Withings released the Activité line, consisting of the Activite, the Pop and the Steel last year, with the cheapest of the range, the Withings Pop bringing the concept of an analogue activity tracker to £80. Around the fixed bezel we have minutes engraved, and the new OLED screen balanced at the top of the watch to equal the visual weight of the analogue dial. Occasionally the magnets seem to object to you asking to charge the device, as they can also repel the charging puck. But often it is merely just a case or re-orientating the watch. 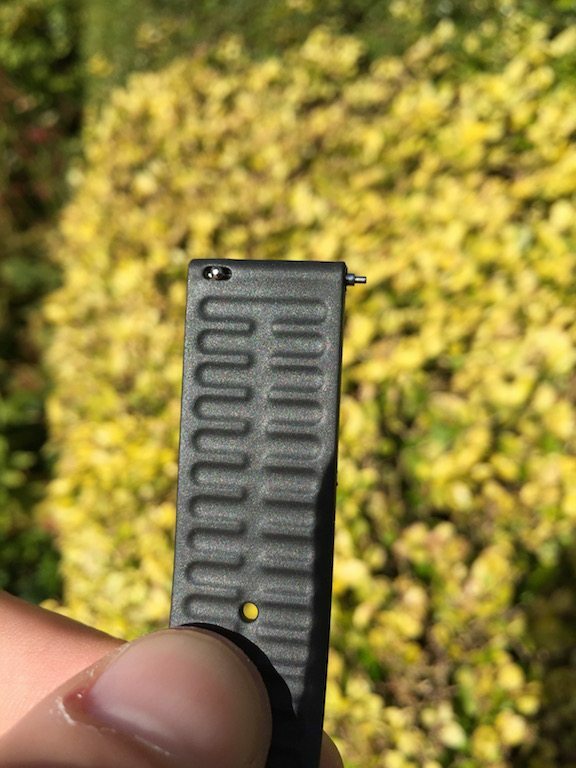 With the strap removed, you can see this is merely a very clear way of attaching a regular strap pin. 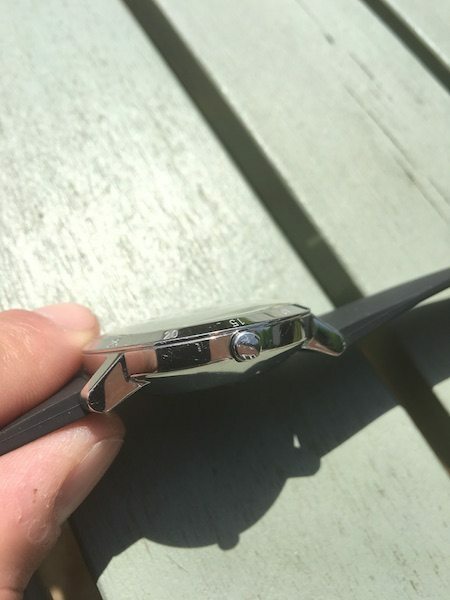 Meaning a regular watch shop would also be able to provide you with replacement straps of different materials. 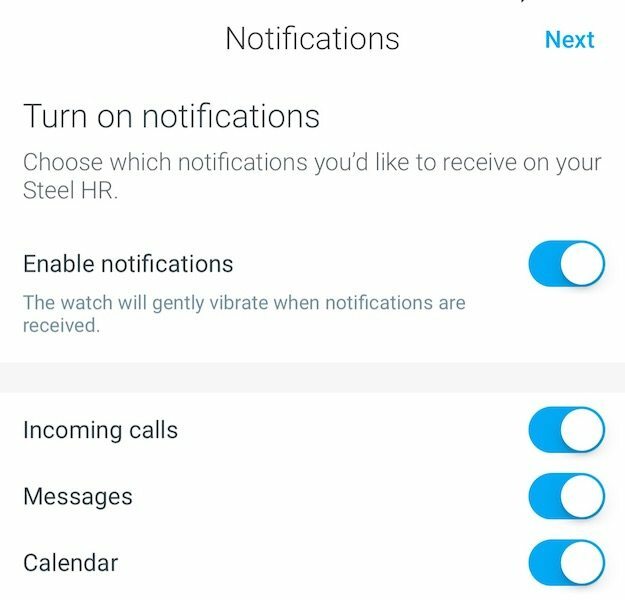 Silent alarm – really useful, rather than waking your partner, or telling the world you have an alarm going off, the Steel vibrates. 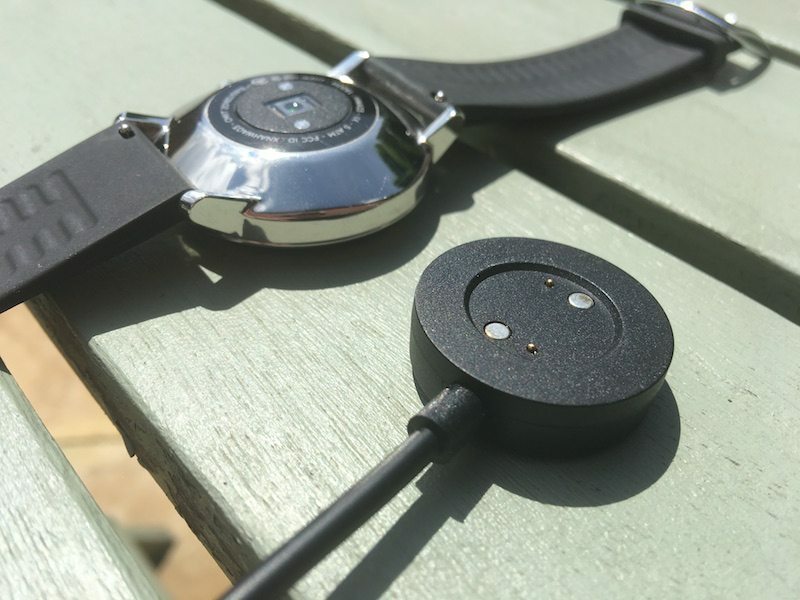 That vibration isn’t like many other smart watches or phones though. 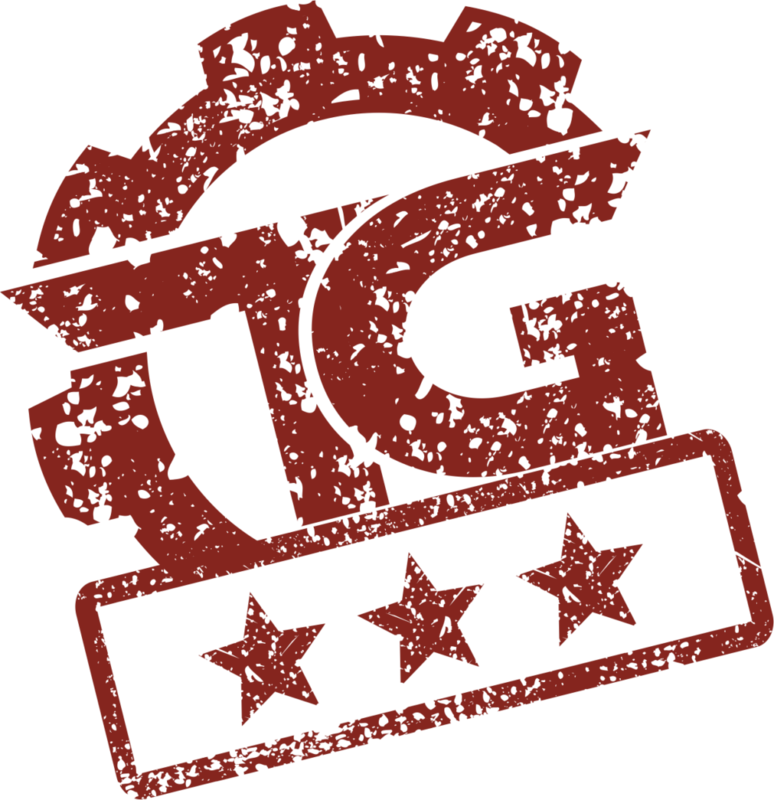 The vibration is practically inaudible – that might seem a minor point, but I think it’s great! Fire and Forget is particularly app when it comes to the battery life. 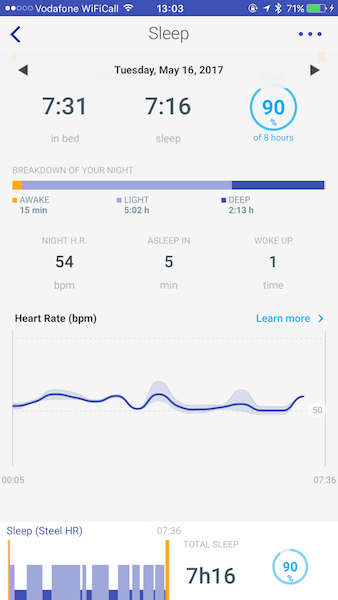 25 days of active use is certainly realistic, and unlike most other smart watches, when the battery does run down, the Reserve function kicks in. And with that, you are nearly done! 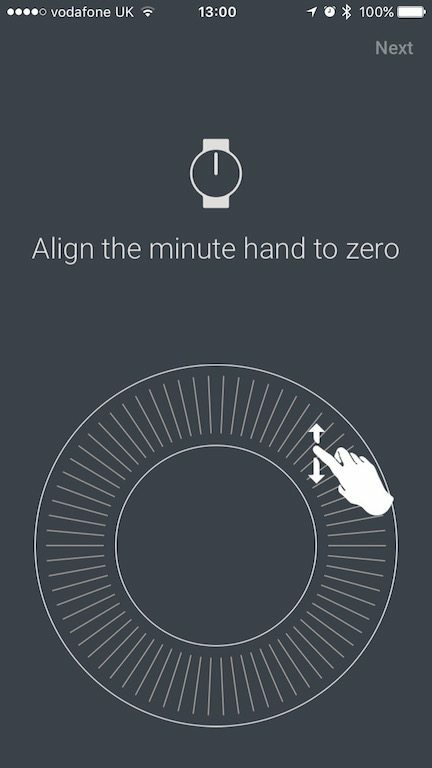 The alarm is similarly set with an easy to use the on-screen slider, and you stay which smart notification you want to come through to your wrist, and then you are good to go! There is a lot about the gamification of activity and sports (I word I’m not keen on but still) – Nike tried it with the original Fuel Band. 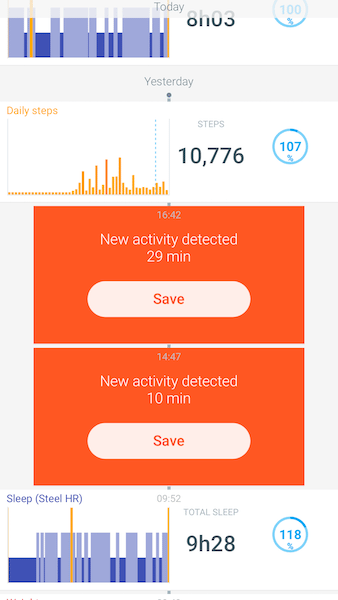 Fitbit has a similar system where you can see your activity compared to others. But as a rule of thumb, these are closed ecosystems. Which might be an effective way of encouraging a family, or group to buy into a particular brand, but if you are outside of a companies sphere of influence, you are left outside in the cold. 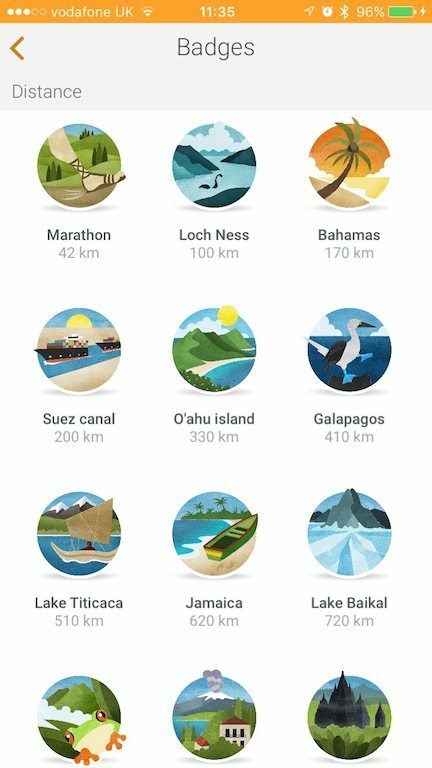 Withings goes some way towards addressing this with the Health App. 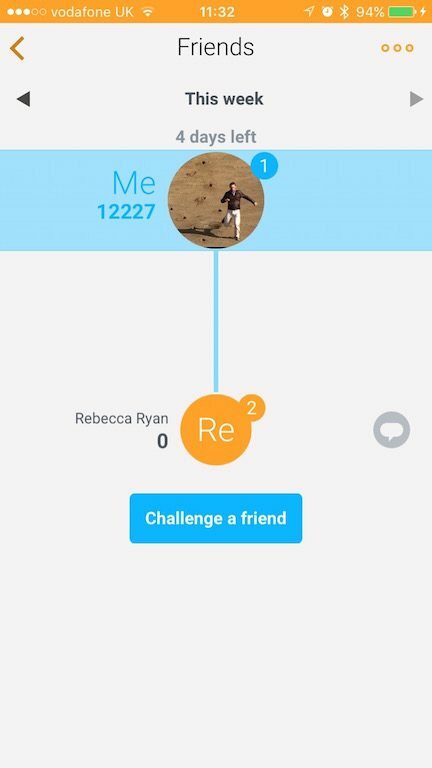 The Health App is free, can be downloaded by anyone with an Android or iOS device, And then the phone itself can track your activity level, which will also allow you to take part in the family/group challenges even without a dedicated Withings device. 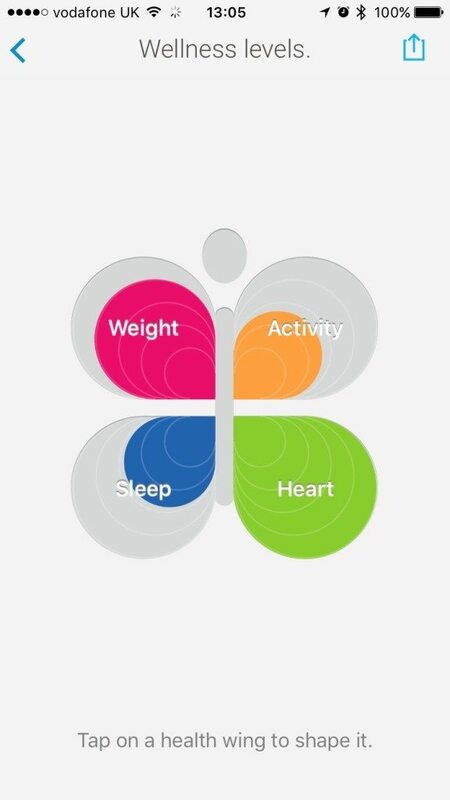 The same system will cover you if for some reason you leave you Withings Steel HR at home. 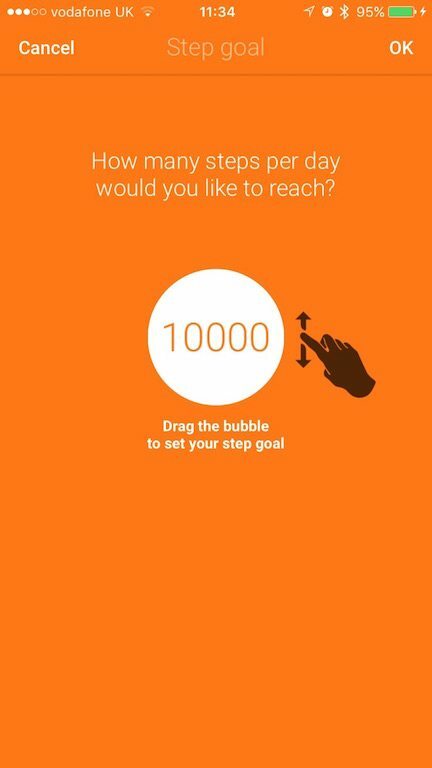 By toggling a switch within the app, you’ll get your steps recorded by your phone that day, rather than the Withings Steel HR! 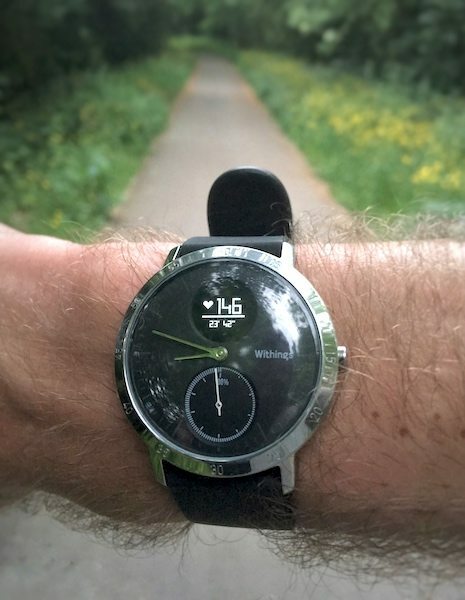 As there is no GPS in the Withings Steel HR, running is quite a simple affair, press in the button on the side, and off you go! While you are running, you can see your heart rate, and the duration you have been running. Dedicated runners watch this isn’t. Sleep is recorded showing light and deep sleep. 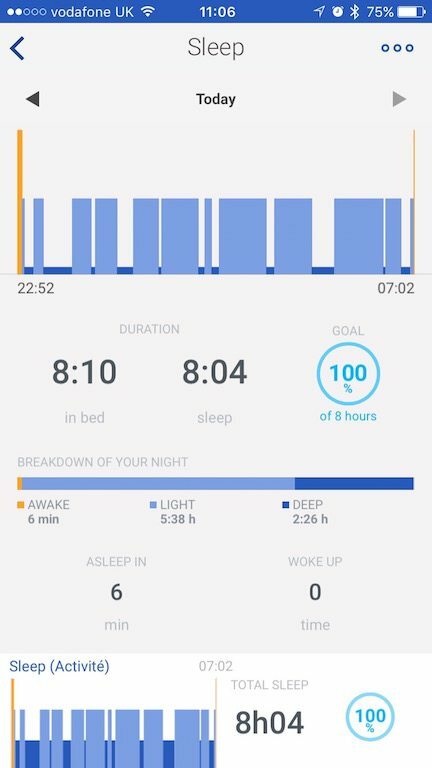 This recording happens automatically when the Withings Steel HR recognises you been still for the appropriate length of time. 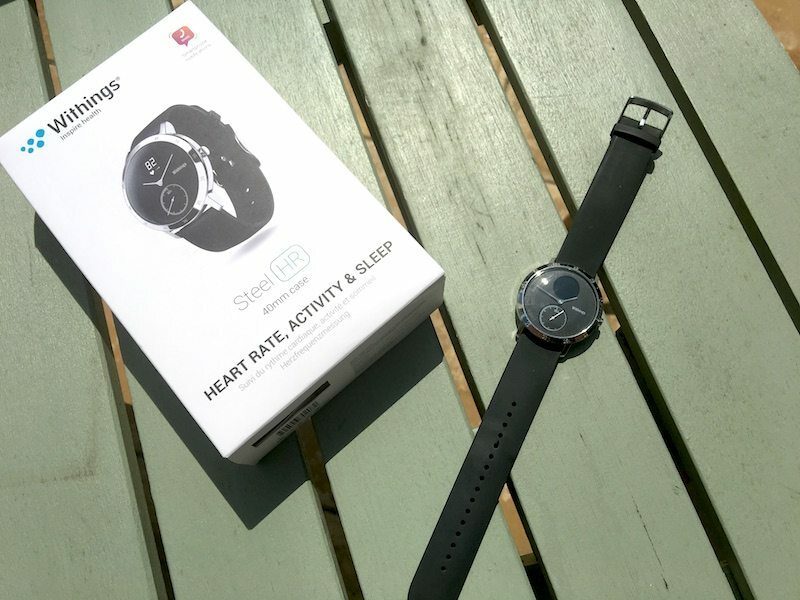 The Withings Steel HR is a great watch, stylish, and seems to give accurate step tracking. 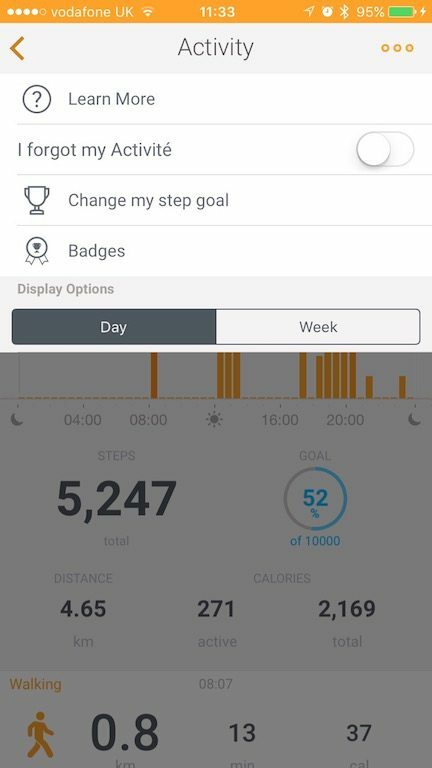 But I would suggest that step tracking is its main function, yes you can go for a run in it, but even though Withings suggest that the device is safe to swim in – heck it is one of their big features, there have been reports is issues with the Withings Steel HR being affected by moisture. 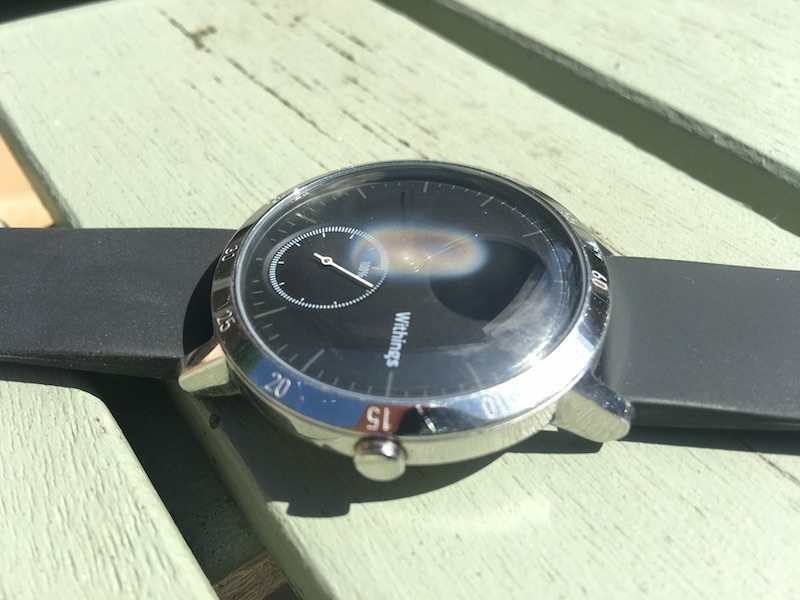 I’d seen no issues with this – until it came to that day to write up the review – sitting outside in the sun and “uh oh” – steam under the Withings Steel HR glass! 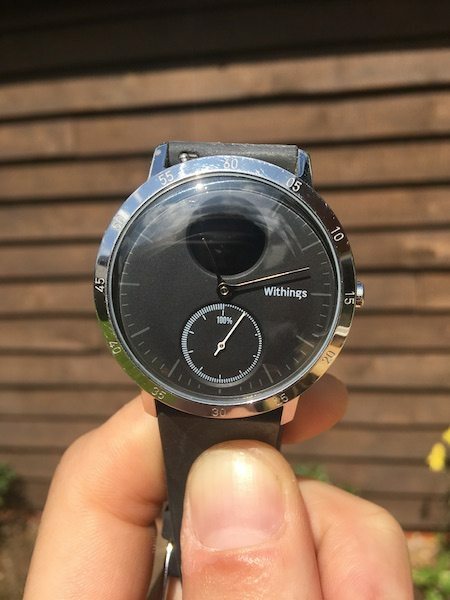 Now Withings responded very reasonably to this explaining that it is due to normal condensation when the temperature of the air changes inside the watch, causing condensation of any humidity in the internal air. The watch is water resistant, not air tight, and that the fog should disappear when the watch returns to room temperature. 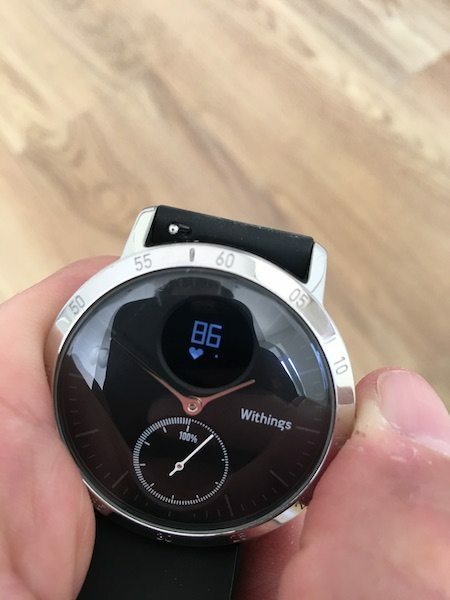 That was certainly my experience after taking the Withings Steel HR back inside for a few minutes. Now, this bit of analysis has to be a bit light. I have not been able to export the raw HR data from the Withings Steel HR to a graph as I would normally do. 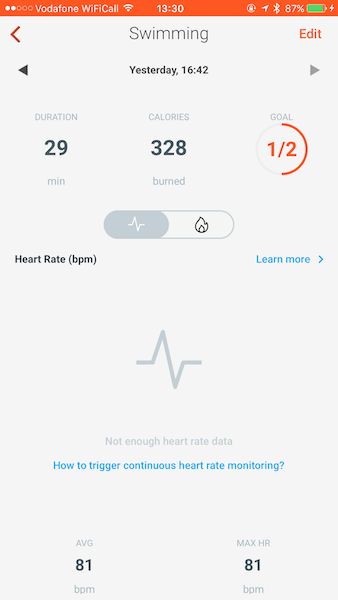 But if we compared the heart rate graphs from the Withings Steel HR along with a 4iiii chest strap graph, they both look to be reasonably similar. 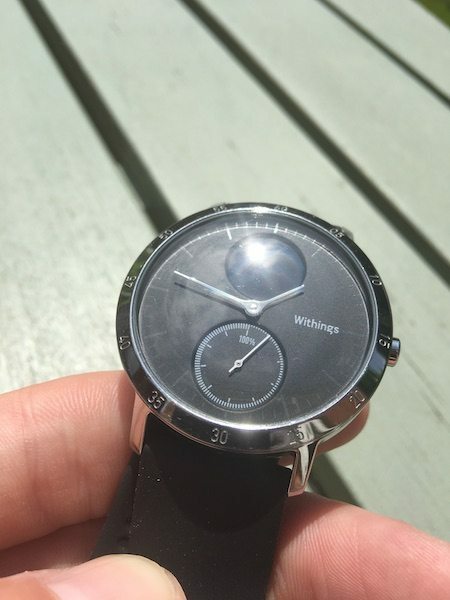 The Withings Steel HR is beautiful. Without a doubt. 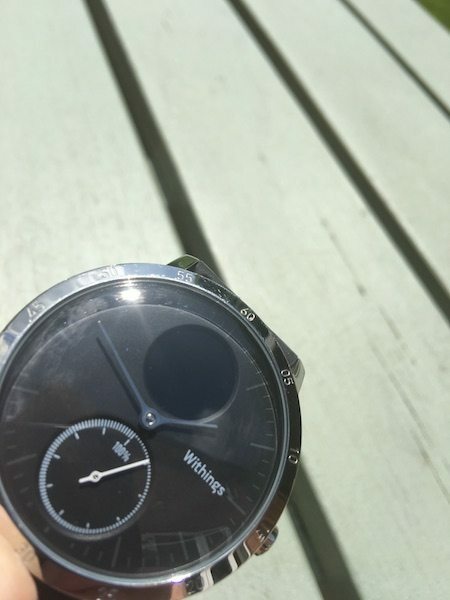 The construction feels distinctly more premium that the Withings Pop was able to carry off. But who is it aimed at? 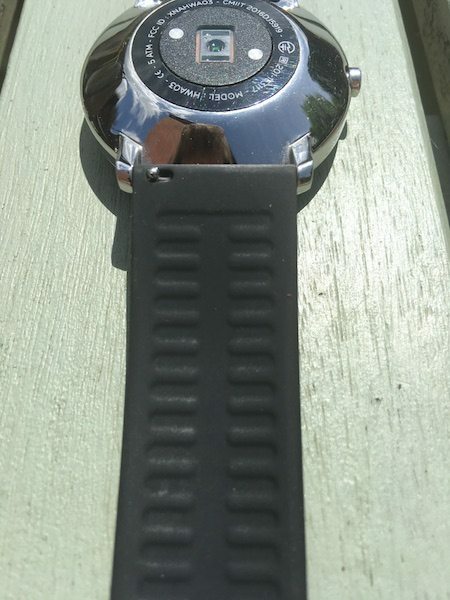 There certainly isn’t enough data available on the watch screen for someone doing training or trying to log their runs/swims. 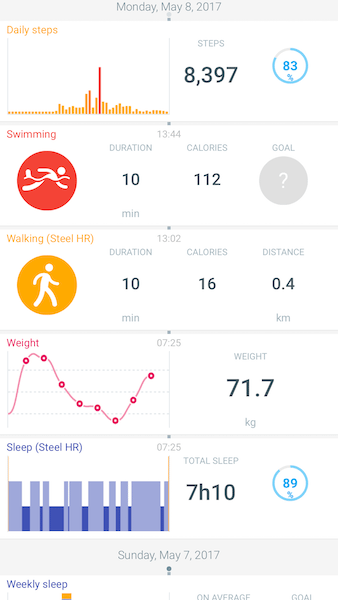 The Withings Steel HR is for someone who wants to monitor their fitness, casually, perhaps do the occasional workout, without having to worry about recharging the battery every day. 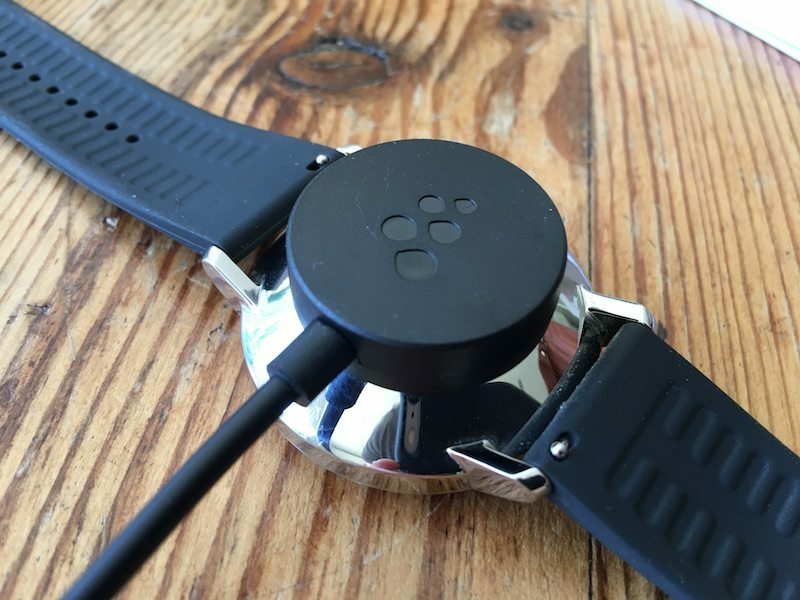 But crucially someone who doesn’t want to have a digital, or obviously sports watch or band such as such the FitBit on their arm, and that I think is one of the major selling feature – style. The style is the most important feature in “normal” watches, so as the fitness tracker market has matured, it makes sense that innovations on style and functionality are becoming priorities – The analogue gauge as a way of counting steps is a great idea, and an easy way to engage people. 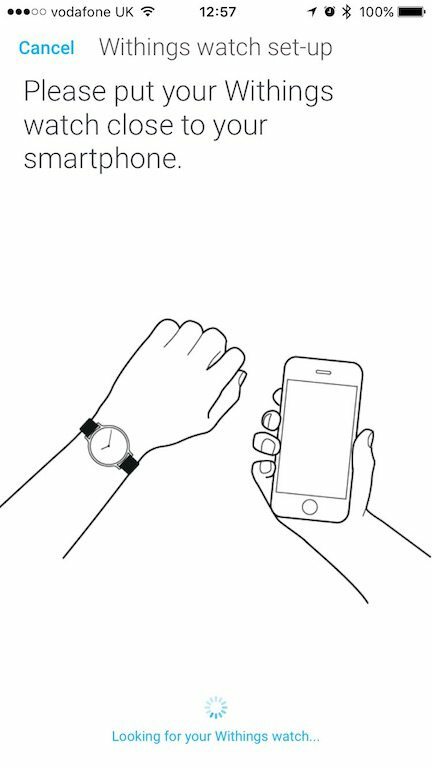 Although the few smart watch features do feel a little limited at the expense of style. 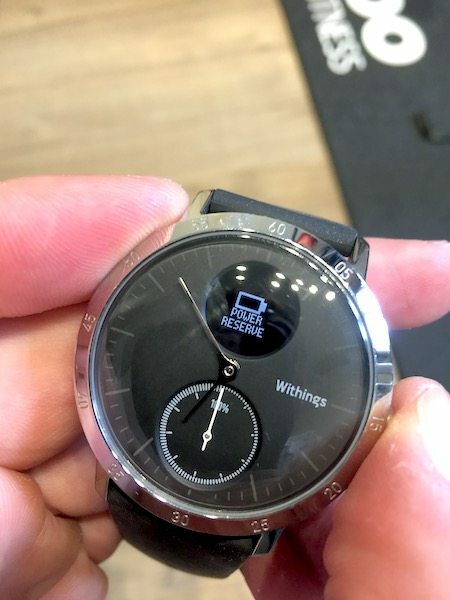 If I’m honest, the only two issues that I have with the Withings Steel HR are the fact that there is no option to purchase the watch WITH a leather strap. You have to buy that separately, and the restriction of activity monitoring to only walking, swimming and running, think cycling should have really been included. SeatyLock – The Bike Lock You CAN’T forget!